When it comes to wedding planning, finding the perfect vendors can be very challenging. Choosing the music for my reception however, was a no brainer! I wanted a band and it had to be “Soul Fish.” “Soul Fish” had played at my sisters wedding as well as several friends weddings. We had the best time at each one of these celebrations and danced the night away. Working with Morgan was such a smooth process from the very beginning and he worked with me to accommodate my every request. The band is very professional, reliable, and fun! All of my guests at the wedding loved the playlist, the interaction between the band and guest, and the highlight was the performance put on by the members of “Soul Fish.” If you are looking for the perfect wedding band, go no further. “Soul Fish” is the best option and sure to make your wedding one you will never forget! Lynette and I just want to say a big THANK YOU! for traveling to Birmingham and providing the best entertainment in the South at our daughter’s wedding. Y’all were AMAZING, and just one look at the crowd filling the dance floor from start to finish is testament to your band’s talents and skill. Not only was every song spot on, the joy and enthusiasm in your band members faces was definitely contagious and people of every age group were out there dancing the night away. The way you were able to bring the evening to a climax in the last set of songs was incredible. We also want to particularly thank you for working in my father-in-law, daughter and nephew onto the stage. It truly was a night we will never forget- Nina and Hank just plain had a blast all night long, and you and Soul Fish were the fuel that kept it going. We had so many great comments and compliments on your music, energy and versatility from our family and friends. Please pass on our gratitude to the rest of the band members. I just know our paths will cross again. Thank you so much! Keep up the awesome work! Thank you SO SO SOOOOO much for doing such an amazing job at our wedding at The Magnolia Plantation. Not only was the music fantastic, the performance, passion and energy was out of this world!!! You really did make our night the best it could ever be! And on top of all this, you were so kind and flexible to learn all of those songs for us…I couldn’t have picked a better band, and judging on all of the positive comments from our guests, I’m certain you’ll be booked again for future events! Thank you once again for making our night so special. It was the best day of our lives!! BEST BAND EVER! They completed our dream wedding and exceeded our expectations. You always want that when it comes to your wedding music, and Soul Fish did just that!! Thank you times a million. I wish Blake and I could get married again! Soul Fish exceeded expectations in every way. I’d heard you were a great wedding band, but you were just a great band all around. Your song selections kept the party rocking, and my friends and family were truly impressed (some even commented on how sore their legs were from dancing so much). Soul Fish was a HUGE part in making our wedding day such a great experience (the best experience, really). We wanted a fun, rocking party, and you guys provided. Thanks Soul Fish! Thank you for making our wedding reception everything we had hoped for and more!!! I can’t tell you how many of our guests told us how awesome you were and how our wedding was the best they had ever been to-largely because of you! Thank you for helping to make our day perfect. SOUL FISH Band from Charleston. Seriously? Could you have been any better??? Ahhhhhh, no……you are the funnest band in the land. Great music, great guys, great talent! Everyone is still talking about y’all. This is the second wedding that we have attended that you guys were at and both were super dooper fun!! No girl singers changing outfits every 30 minutes like I’ve seen at a wedding or two…….just good, good music!! ALL ages had a blast. 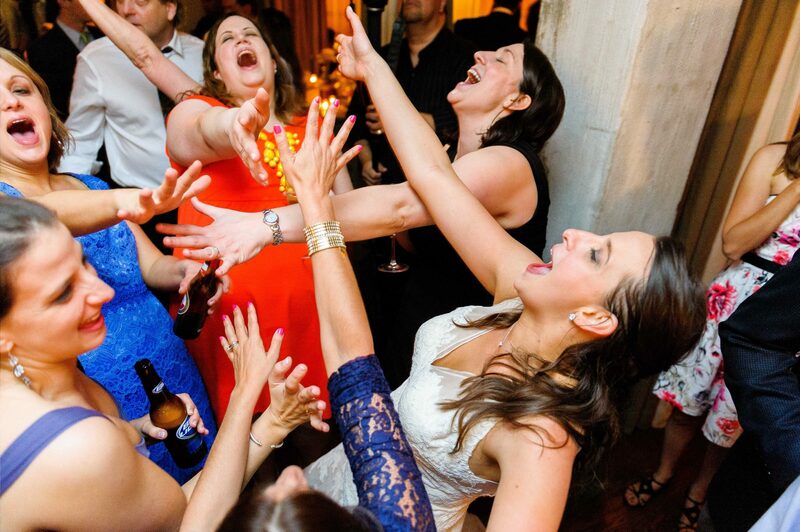 Music really is such an important part of a successful wedding. We are coming to Charleston to see you. I would argue all day with anyone who says they can find a better band. My opinion…..ya’ll need to charge more $, you are worth it!!!! My daughter had her grand night, the wedding went really well, the food was great, the venue at I’on was ideal and EVERYONE loved the band. It was so busy after the reception that I did not get a chance to thank the band members. Would you please extend my thanks and appreciation to them. I could tell my daughter loved the music, as she was beaming on stage as the band played her songs, for our guests. They were all great. So, please tell them thank you and we greatly appreciate how much fun they added to the wedding party! It was a night nobody will ever forget. Morgan, where can I begin? First and foremost, the performance by Soul Fish at Amanda and Chance’s Reception was – by far and hands down – the most entertaining and outstanding effort I’ve ever seen for a private event in my life! I also feel obligated to tell you that my opinion is unanimously shared by every person who walked out of the Hibernian Hall. NO ONE wanted that night to end – you absolutely blew us away. Please, please share our sentiments with the rest of the band. I would also like to give you and the band a very special thanks for performing “Can’t Take My Eyes Off of You,” and “Love Shack.” People at the reception could not believe these two songs were new to your repertoire as a result of our requests. Personally, I was so much on a high at the time that I did not notice; but, after seeing video of our Dad/Daughter dance, you guys nailed “Love Shack”- even getting Kate Pierson and Cindy Wilson’s harmony right. But why should I be surprised? You guys nail every song you play. Great, great experience having you guys be a part of our night. You are all extremely talented and work very hard. I wish you nothing but the best and much success and happiness. I look forward seeing Soul Fish again soon. Amy and I just wanted to send you a note saying thank you so much for playing at our wedding reception on August 25th. We had the perfect evening and we owe a lot of that to you and the rest of the band for putting on such an amazing show. All of our friends have come up to us over the past week and have said that was the best wedding reception they have ever been to and that the band was incredible. You guys were amazing playing all of our first dance songs live and the fact that you played all of the songs Amy and I picked out was amazing. The bands interaction with all of the guests was great. I know everyone had a great night and we could not have asked for anything more. I hope you guys had a good time playing for us and hopefully we didn’t get too out of control. Again, thank you so much for playing at our reception and making it a night we will never forget. I can’t say enough good things about Soul Fish. When it comes to wedding bands in Charleston, they are by far the best. Extremely professional, on time, responsive, large playlist of songs, willing to learn any songs you want for your wedding, flexible…the list goes on. They were there to answer questions on my wedding day early. Made sure set up was perfect. They are professionals when it comes to weddings so you can count on them to do their best under little direction. They were perfect for my ceremony and AWESOME for the reception. They played the best songs and got everyone dancing. They got the crowd involved with singing, tambourines and the cowbell was a HUGE hit. My reception was so much fun because of Soul Fish and I will recommend them to everyone I know. Thank you Soul Fish for making our wedding day so memorable and fun. 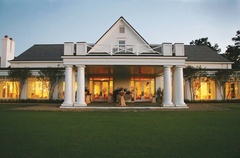 We are so honored you played our reception on Kiawah Island. Our guests had the most wonderful time thanks to you. Ya’ll know how to really rock it out! Thank you for making our wedding reception so unforgettable and fun! Thank you again for your amazing music. I am sure you know this but I just wanted to tell how you AWESOME Soul Fish was for our wedding reception. Everyone was dancing and having a great time. My mom and dad even got on the dance floor, and they never dance! I thought I knew how great Soul Fish was, but apparently I was wrong. They went way beyond our expectations and made our special day even better than we could have ever imagined it being. Adam and I cannot stop talking it. Please pass along to all of the guys how happy we are and thank them for making everything perfect. I just wanted so send you a note of warmest thanks for performing at our reception. You were FANTASTIC!! Again, we could never thank you enough, and will be singing YOUR praises all over town. Dear Soul Fish. I just wanted to thank you guys for making our wedding so much fun and just awesome!!! We had a blast, you guys sounded great (as usual), and everybody enjoyed y’all so much. We’ve had nothing but compliments from everyone about how great the band was. Just wanted to say thanks again, and look forward to seeing y’all again sometime soon. Peace!